Time to wear the high-performance headphones, let us begin to enjoy the clean and clear music and calling. Be equipped with TPE wire, frequency response of 18-22 kHz and 10mmd driver of high sensibility. The vibrating diaphragm system made of multilayer polymer metal composite material in combination with the optimized tuning scheme to produce excellent clear sound with pure, natural timbre and more details. Compatible: Almost all the smart phones and devices with 3.5mm jack, including the full range of Apple iPhones, iPads, iPods,Samsung Galaxy and Note Series, Game console, MP3 MP4 music players, Nexus, HTC, laptops, tablets, PC and more. THE BEST FOR YOU! Order the CHSMONB CS668 Wired Headphones today! 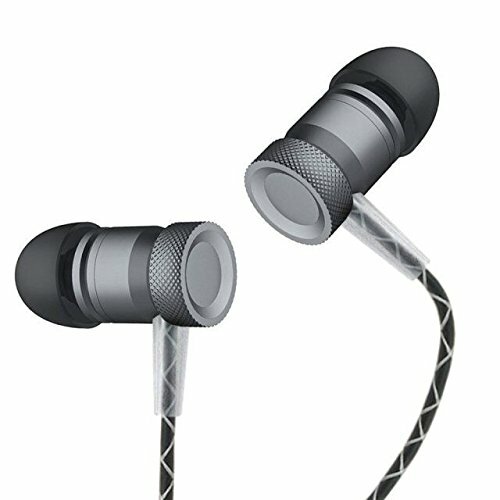 SUPER DISTORTION-FREE BASS STEREO EFFECT - In-Ear Sports Lightweight and water-proof make it perfect to keep moving during daily workouts, also you can use this earphone at home when gaming, listening music. CONVENIENT USE EARBUDS - Button with a phone mark to control music, conversation and Siri - play/pause, volume control, answer/reject/end phone calls. GOOD DELIVERY VALUE -Inline controls built-in microphone and one button remote for answering calls hands free.Gold-plated 3.5mm audio jack for no-loss sound connection to your audio device. If you have any questions about this product by CHSMONB, contact us by completing and submitting the form below. If you are looking for a specif part number, please include it with your message.